Autism is characterized by various disorders that bring problems in social skills, speech, nonverbal communication and unique strengths. The disease is most common in children, and multiple types of autism are as a result of different factors either genetic or environmental. The autism signs appear mostly in children between the age of two and three years old. As a parent, once you notice the autism symptoms in your child it’s advisable to take action quickly since early treatment may be fruitful. Trampoline is a very important therapy for autism as it improves the body coordination, muscle strength development, promote body stamina and posture. Habit –forming activities and electronics can cause addiction in children suffering from autism spectrum and can lead to isolation, weight problems and poor muscle development. Keeping your autism kid active is the best way to counter the disease. The American Physical Therapy Association report indicates that children with autism may have challenges to acquire motor skills, coordination and may develop posture problems. Trampoline or rebound therapy can help a lot and deliver positive outcomes in muscle building and burning calories to reduce the child body weight and prevent any weight gains. The treatment also improves the child’s body balance, posture, head control and coordination. Thus bringing your child back to healthy life, the game is fascinating to children and the interaction between different children will improve your baby’s speech. Children with autism tend to have challenges in interacting with peers as they are mostly in their different world. The excitement your child will get from jumping up and down on the trampoline presents a distinct feeling that makes the child social to the peers. You can purchase the trampoline for your child and involve other children in making the experience more fun to your child. Employing skills like clapping or singing while jumping will improve the social life of your child. Jumping on the trampoline improves the child’s muscle development and enhance body fitness. Bouncing on the trampoline exposes your kid to the outside environment making her not to shy away from the physical world. Doctors say that children with autism have challenges in controlling their actions hence jumping on the trampoline will improve the child’s body coordination. 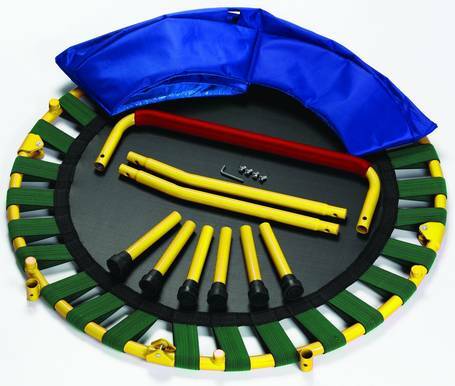 Once the brain of your child is active, it will make the child to have an easy time to control her activities and trampoline can be of great help. Children who have autism have feelings and anxiety that are very overwhelming which can make them do something silly that may be harmful. 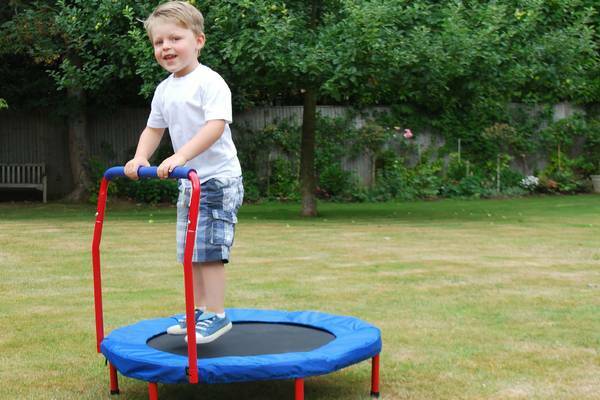 Trampoline helps a lot in relieving the child’s hidden emotions and release the excess energy safely and positively. Autistic kids have difficulties in engaging with the outside world but jumping on the trampoline will help in making the child adapt to the outside world. In classes, for instance, the teacher may decide the children to count cards while jumping instead of numbers. Sometimes the children with autism may have challenges in speaking since they don’t get the chance to interact with peers due to addiction to specific activities which make them dormant in life. A﻿﻿utism ﻿﻿spectrum disorder (ASD) make the child have difficulties in speech and may remain a nonverbal speaker if you don’t contain the situation early enough. Jumping up and down on the trampoline with peers make your child active and social which will make her start altering words resulting from the excitement form the jumping. For example when the children jump while singing or counting numbers will enhance their speech and will have an easy time learning how to speak. The interaction between children is very healthy and especially in the development of speech. Apart from helping the child in curbing autism, the trampoline is also essential in improving the physical fitness of your child. Activities help children to develop good posture, stiff muscles and burn body calories that contribute to gaining unnecessary body weight. 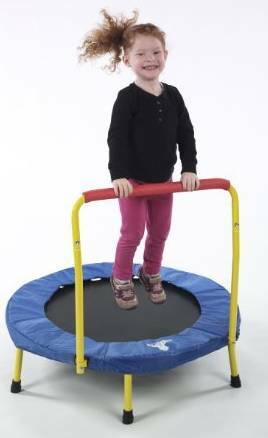 Development of healthy bones is something you would like your child to have, and trampoline can be of great help for your child’s body development. Jumping up and down keep your baby active and grow with proper muscle development and healthy bones hence getting enough body stability. The Attention Deficit Hyperactivity Disorder (ADHD) is a brain condition that makes one's brain unable to concentrate on something for long and keep on losing focus. The problem mostly develops in children, but also adults are prone to the disease. ADHD causes the development of difficulties in paying attention and have issues in making correct decisions which you can end up doing something before thinking. The trampolines are an important therapy to curb the problem in children since the activity brings a lot of excitement which will enhance the child’s concentration. Once children jump together on the trampolines while singing or clapping, will help the child’s brain to develop the ability to focus and control the whole body activities. For many years now trampoline is proving to be an excellent therapy for children with autism as it helps physical interaction thus improving the child’s social life. Medical doctors recommend the trampolines especially when the children do it in groups. The interactions expose the children to outside world and start developing social life skills since autism is mainly as a result of isolation and lack of external world exposure. For more trampoline options visit our best trampoline for kids and kids trampoline with bar guides.